Matching folio to the CD that debuted at #1 on the Billboard album chart. This tab book is the companion volume to the metal band's 1996 smash release Load, which also debuted at #1. 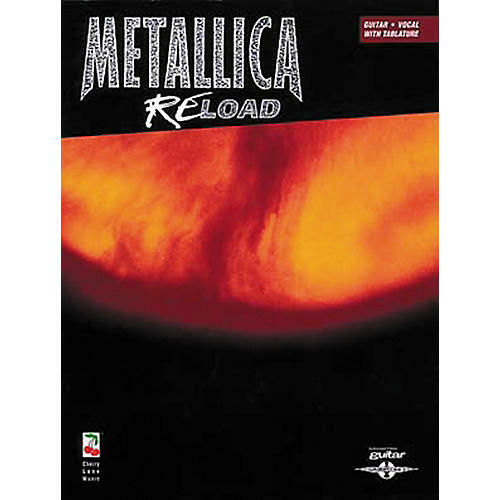 The Metallica guitar tab book includes "Attitude," "Bad Seed," "Better Than You," "Carpe Diem Baby," "Devil's Dance," "Fixxxer," "Fuel," "Low Man's Lyric," "Prince Charming," "Slither," "The Memory Remains," "The Unforgiven II," and "Where The Wild Things Are." 164 pages.